The Afghan Taliban face the biggest challenge in their history. With the death of their revered leader Mullah Omar and the selection of a successor, the group has entered uncharted territory. Mullah Akhtar Mansour's appointment came after three days of talks among members of their religious council. There were disagreements over the choice of Mansour, a native of Afghanistan's Kandahar province. Many powerful commanders, including the Taliban's top military commander, Abdul Qayum Zakir, have long-standing disagreements with him. A faction within the Taliban wanted Mullah Omar's eldest son, Mullah Mohammad Yaqoob, to take over; other leading figures favoured Mullah Abdul Ghani Braradar, a founding member of the Taliban and Mullah Omar's former deputy. Mullah Mansour served as aviation minister during Taliban rule and has been a deputy of Mullah Omar and acting head of the Taliban's Leadership Council for around three years. He has been accused of monopolising power and hijacking the movement. Some also accused him of being close to Pakistan. But he is seen as a pragmatist and a proponent of peace talks. The biggest challenge for the new leader will be to keep the group united and inspire and motivate the rank-and-file members. The council also appointed the chief of Haqqani network, Sirajuddin Haqqani, as one of two deputies of the new leader. His other deputy is Mawlawi Haibatullah Akhundzada, a religious scholar and former head of the Taliban courts. As they represent different factions and tendencies, this seems to be part of an effort to make the group inclusive and united. Mullah Omar had become a mythical figure within the group, closely obeyed by the wider membership. 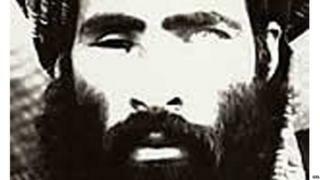 With a $10m (£6.4m) US bounty on his head, Mullah Omar kept an exceptionally low profile. He was not seen again in public after he left Kandahar on a motorbike when the Taliban regime fell in December 2001. Mullah Omar was widely rumoured to be in Pakistan. A couple of sightings in Pakistan were reported, in 2004 and later in 2011, but the authorities there have always denied his presence on their soil. He did not live with his wives and children, perhaps for security reasons. His eldest son, 27-year-old Mohammad Yaqoob, graduated recently from a religious seminary in Karachi. He has never issued a video statement and relied on audio messages to instruct his lieutenants and the Taliban leadership council. But apparently that, too, stopped around 2008. He issued written statements usually twice a year for the two Muslim festivals of Eid. The latest of these statements, issued on 15 July, expressed support for the peace talks between the Afghan government and the Taliban. Mullah Omar was the glue that held the movement together since it was launched in 1994. He was both feared and revered. His reclusiveness added to his mystique. However, in recent years, his absence fuelled rumours that he was dead or incapacitated. Over the past two years, questions about his life and whereabouts increased, putting pressure on Mansour to produce credible evidence he was alive. The other controversial point is the timing of Mullah Omar's death, as rumours of his ill-health and demise have circulated in the past. Afghan and Nato officials have said around a dozen times over the last 14 years that Mullah Omar was dead. But the Taliban repeatedly denied this as "enemy propaganda". The Afghan government said on Wednesday that Mullah Omar died in a hospital in Karachi in April 2013, while other reports put it in July that year. But by some accounts Mullah Omar died in recent weeks of a heart attack. He had reportedly been ill for a long time and was operated on about four years ago after developing heart complications. The cause of his death is also a matter of debate. It is widely thought the Taliban leader died from an illness - some reports say tuberculosis, others mention hepatitis. But several credible sources told me that he died of heart attack in Pakistan. Taliban sources say he was buried on the Afghan side of the border after his son identified his body. The new Taliban leader will have to deal with two big problems. On one hand, it will be extremely difficult, if not impossible, for his successor to achieve the same popularity in the group. On the other, disagreements could result in the fragmentation of the Taliban and possible defections to the so-called Islamic State (IS). Image caption Could the Islamic State leader, Abu Bakr al-Baghdadi, win new followers amid turmoil in Taliban ranks? Mullah Omar had a dual role. He was the political and military leader of the Taliban but more importantly he was called Amir al-Mumineen (Leader of the Faithful). The Taliban have a principle of "obedience to the Amir (leader)," which makes following orders a religious duty. Mullah Omar was seen as a saintly figure to whom all the Taliban had pledged allegiance. Even leaders of foreign militant groups such as al-Qaeda, the Pakistani Taliban and the Islamic Movement of Uzbekistan had sworn loyalty and accepted Mullah Omar as leader. But Mullah Mansour has now been given the same title of Leader of the Faithful. This means that he would expect the same religious legitimacy Mullah Omar had. It will be a challenge for Mullah Mansoor to acquire the same wider appeal and legitimacy. In the case of a questionable religious authority, members of militant groups including the Taliban and al-Qaeda could switch their loyalties to the leader of the IS who has declared himself the Caliph. Although Mullah Mansoor does not have same stature as Mullah Omar, efforts are under way to resolve these internal disagreements within the Taliban.